Astronomy Laboratory Director Ron “Starman” DiIulio calculates that guests should see one bright meteor flash every minute or so. During the open house, multiple telescopes will be available for guests to get an up-close look at Jupiter, Mars and Saturn. There will be a presentation on the Perseid Meteor Shower, explaining what it is and how to observe it, followed by an observation of the shower. Attendees are welcome and encouraged to bring cameras, retractable lawn chairs, blankets, and non-alcoholic beverages. Admission is limited to 200 guests. The event runs from 9 p.m. Aug. 11 (Saturday) until 2 a.m. the next day. Admission is $5. Tickets will be available for purchase during the event at the Rafes Urban Astronomy Center, located at 2350 Tom Cole Road in Ponder. 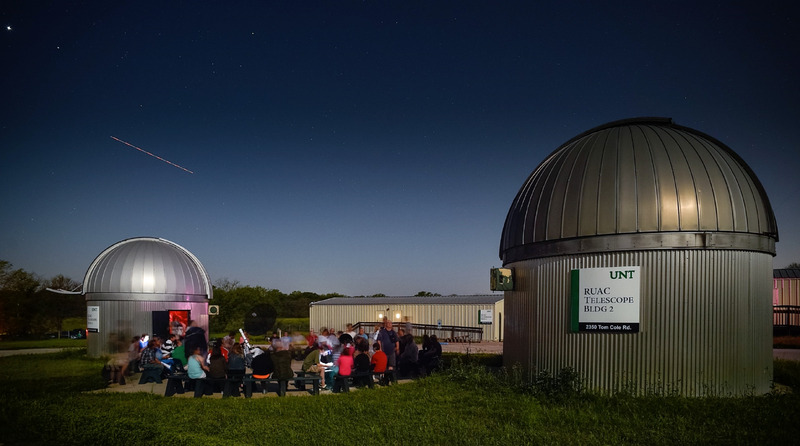 The astronomy program is part of the UNT’s College of Science’s offerings of academic programs and educational resources, as well as public and private events. For information visit http://astronomy.unt.edu. For a list of planetarium shows and times visit http://astronomy.unt.edu/nowshowing.